My husband and I purchased our first Chow puppy from a Pet Store in 1978. Although Sheba did not turn out to be the best specimen of a Chow and went through two hip surgeries for hip dysplasia before the age of one year, I quickly fell in love with this breed. I found the Chow to be arrogant, dignified, loyal, proud and snobbish at times. In my opinion, they are a very misunderstood breed. They tend to go their own way in life, but are wholeheartedly devoted to the family. The Chow is not a barker, but a great watchdog. He will sound off at the sight of a stranger. They are normally not friendly with strange people. It is, however, essential that the Chow be socialized as a young puppy. The Chow is a very clean breed and easy to housebreak. Their coat does require at least a once a week brushout. It is essential to keep the coat in good condition. 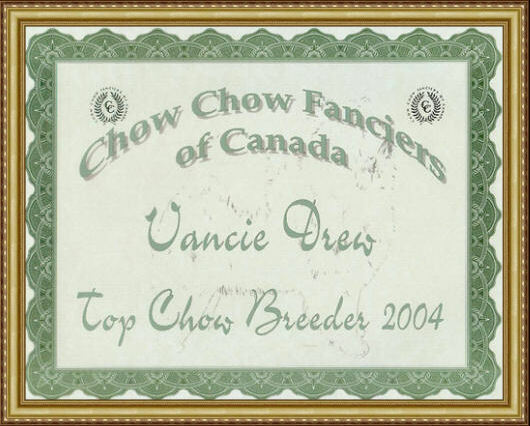 Thank you to the Chow Chow Fanciers of Canada for this award! "Visit my Cream Chows Website!" Pedigree pages courtesy of Chinarose Chows! 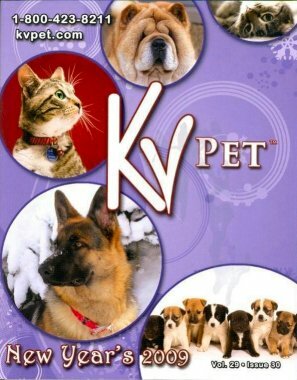 Chow Chow Champions 2002-2007 book!